Accompany with China’s emerging economy and the overall opening in the logistics industry, logistics industry is speeding up its pace in upgrading the industrial structure. The fact that the demands of high-standard warehousing facilities exceed the market supplies leads to broad prospects in logistics property industry. Seizing this opportunity, BLOGIS combines the shareholders’ powerful strength and good governmental relationships with its rich experiences in planning, constructing and operating logistics facilities to build high-standard logistics parks national wide to fulfill the diversified requirements of various clients. Our logistics parks are all located on the key points of the traffic networks based on the previous adequate project research. Upon the clients’ requirements of supply chain management, BLOGIS can find a suitable location in the requested region and customize warehousing facilities providing comprehensive services such as planning and design, location selection consulting and project construction. After the warehouses customization, BLOGIS can also provide the clients’ with professional services of long-term property rental and management. Construction commissioner:Responsible for the work of project preparation and application, construction supervision and acceptance inspection and so on. Establish strategic partnerships with specialized construction companies to facilitate the overall planning and construction management work of BLOGIS projects. Business commissioner: Responsible for the work of market research, leasing as well as customer relationship management. Operation commissioner: Responsible for the preparatory work and daily management of BLOGIS. BLOGIS’s warehousing facilities designed following the common standards of the modern logistics industry are of domestic first-class level and can meet the requirements of international logistics companies in operation efficiency, appearance, safety and so on. The customized development services suggest that according to clients’ needs BLOGIS can provide comprehensive services from location selection, facilities construction to property operation with our specialized capability in location selection consulting, design and construction. 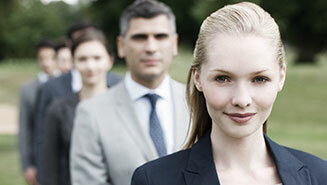 Furthermore, we are willing to offer our clients with tailored distribution services in the deeper cooperation. loading and unloading, cargo handling and other operational services. 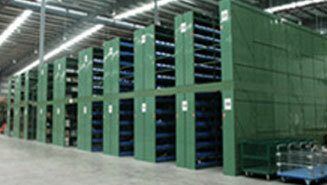 leasing of forklifts, trailers, racks and other storage and shipping equipments.